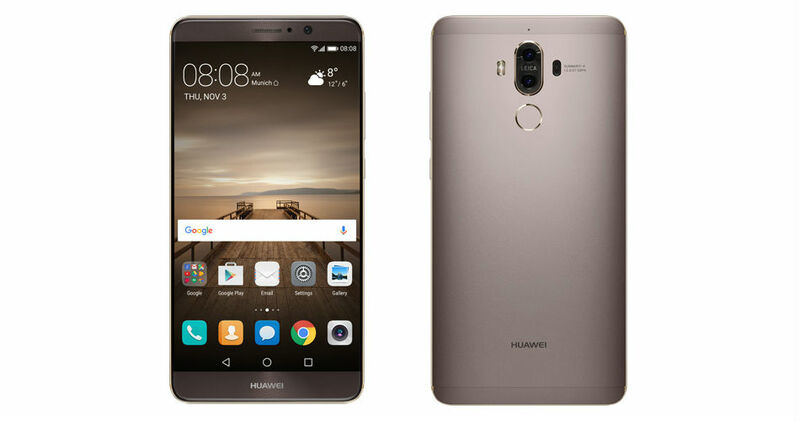 The Mate 9 from Huawei was made official this morning in Germany, bringing an end to the numerous leaks and rumors swirling around. The device, which should see a US launch at some point the future, is very large. Featuring a 5.9″ FHD display and Android 7.0 “Nougat,” this could be a solid option for phone-less Galaxy Note 7 owners who got burnt by the recall. For specifications beyond its huge display and operating system, the Mate 9 features a Kirin 960 octa-core processor, 4GB of RAM, 64GB of built-in storage, microSD slot, dual-band WiFi connectivity, fingerprint reader, dual rear-facing Leica-branded cameras (20 megapixel monochrome + 12 megapixel RGB, F2.2, OIS), 4,000mAh battery, and EMUI 5.0. Now, as for availability, the Mate 9 will be made available in China and Europe first, with US availability to follow at a later time. Huawei has not provided specifics on when we might expect it. For pricing, Huawei only provided the Euro price, which is €699. Once Huawei announces specific US plans, we will update you.